Is the PSP Go a goner? In a presumably unguarded moment, a developer working on the upcoming Mortal Kombat reboot has revealed he has used a PSP2 and has called it a "powerful machine". 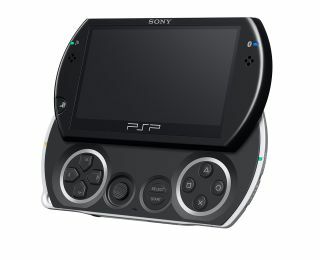 That's right, a PSP2, which actually hasn't been announced yet. Speaking at PAX 2010, Executive Producer Shaun Himmerick revealed he had used the handheld which Sony denies all existence of, explaining: "We have a PSP2 in the house and we're looking at the engine, like what can it support. "Always a big thing for us is the performance. We're running at 60 fps, what can we do and do we have to build all the art assets over. "We're definitely looking at them. PSP2 looks like it's a pretty powerful machine. We don't have a 3DS system in house yet, but we're looking to get one, and we'll certainly look at what its power is." This isn't the first time a dev has spoken about the PSP2, PlayStation 3 magazine PSM3 managed to squeeze out some information earlier this year from Lost Planet 2 creator Jun Takeuchi. But with both E3 and Gamesconn passing, it seemed that maybe the industry was telling a white lie about the handheld. Thankfully Himmerick's comments means that the PSP2 looks like it is alive and very much kicking. So, when will we see the handheld? Surely if it exists, Sony would like to get it out for Christmas and make sure that it competes with the upcoming UK launch of the 3DS? Sony has contacted CVGabout this, noting: "We haven't announced any news on PSP." Which is fine by us as it seems the folks at Mortal Kombat have done it for them.